The city with a cool atmosphere, the city that fascinates a casual visitor to move in permanently is the city named Bangalore. The Mecca to the IT Crowd, Bangalore is a city that attracts people with their eyes full of dreams and heart full of hope and courage and mind full of ideas. The coolest place on the planet is the rare city that just not attracts a visitor for explore itself but it captivates it to the extent that one can make this city their permanent residence. 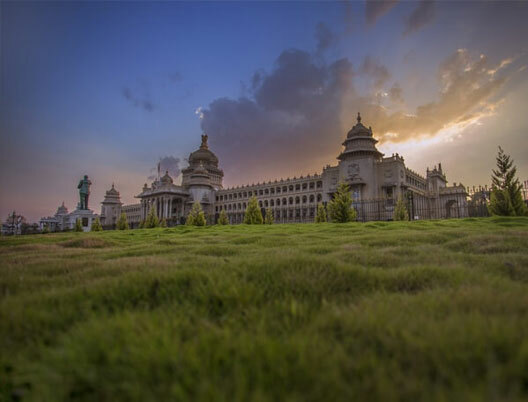 Being the Capital of the Karnataka State, Bangalore houses a pleasant and cool weather throughout the year that makes it one of the best places to live in. Named after its weather, Bangalore is proudly known as ‘Pensioner’s Paradise’. The only city that welcomes everyone with an open heart and an extremely warming hospitality of the Bangaloreans. Finding its place on the world map, Bangalore is the only city of India which is famous for its export of software and software professionals. With quiet an interesting History, the city was named Bangalore which is an anglicized version of ‘Bangalooru’ a Kannd Term that means the ‘town of boiled beans’ by King Ballala of the Hoysala Dynasty who was once lost in the jungle and while he was carving for food, one old lady of the city offered him some boiled beans and as expressing the gratitude towards the old women, the king named the city as ‘bende kaalu ooru’ later was combined to ‘Bangalooru’. Since the king Ballala gave this city a name, the city was founded by the Kempe Gowde who just didn’t found the city but also played a vital role in giving it the shape. Kempe Gowde was himself a feudal lord who served under the Vijaynagara Kings. As being an hunting freak, he while once on hunt saw a dog being chased by a hare which left him in shock for some time. This impressive yet shocking incident made him start calling the city as ‘Gandu Bhoomi’ that means the Heroic Place. 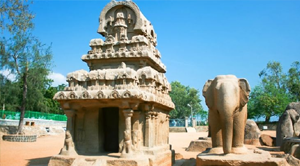 Later he built a massive mud fort under the supervision of King Achutaraya and inside he founded the towns of Balepet, Cottonpet, and Chickpet. As the city was constructed, his son in the later period built four watchtowers on the boundaries of the city which are till today very much visible. As the empire of Vijaynagara was defeated by the Sultan of Bijapur, Mohammed Adil Shah in the year 1638, the city was then ruled by the Sultans for the next sixty years and Later the city was taken over by the Mughals. Mughals sold the kingdom to the King Chikkadevaraja Wodeyar of Mysore who got another fort constructed in the city and later the city was gifted to Hyder Ali as a jagir in 1759 by Krishna Raja Wodeyar II. With the death of Tipu Sultan, the city was given back to the Krishna Raja Wodeyar II by the British. However with a change of mind, British took over the city again in 1831 as the reason was the misrule by the Krishna Raja Wodeyar II. As under the rule of British, the city got its kick start for development into a modern city and the constructions of the elite facilities like the railways, telegraphs, posts and plenty of them was carried away. With the British Commissioners being based in the Bangalore, the city was given back to the Krishna Raja Wodeyar II. Yet the city’s development didn’t stop till now. 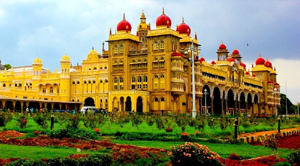 Later post independence of the country, the city was regarded as the capital of Karnataka and since then this magnificent city saw a large-scale development and growth in every sector. 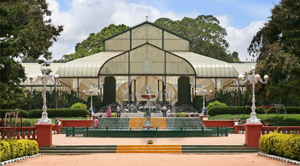 The seventh largest city of India, Bangalore is regarded as the Garden City because of the mesmerizing and alluring gardens that it houses. With the breezy weather throughout the year, it is therefore named as the Air – Conditioned City. Being the land of the plenty of Multinational Companies and Premier Institutes of India, Bangalore is crowned as the Silicon Valley of India. Besides just the names, Bangalore offers a lot to be explored. 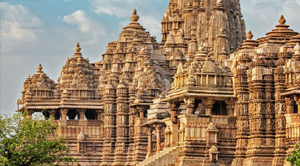 The stunning modern architectures to the ancient temples, the historic forts and monuments to the magnificent gardens. Bangalore is the City as soon as one explores it, the person is forced by his inner self to make this city his permanent residence. Now, being a kaleidoscope of striking colors, this city is the excursion of India to become and IT City from just an emergent nation. With the perfect fusion of well planned infrastructures and scenic landscapes, Bangalore is the only city that fascinates people from all over the world with its multifaceted charm. With the perfect harmony with nature and human covered objects, Bangalore is one of the host of to be the best tourist destination of India. The modern city lands some of the mesmerizing yet magnificent palaces, gardens, parks and boulevards in almost every part of the city. A lot is here to be explored, while you will not get disappointed with this extraordinary city. Bangalore houses its own airport named as the Bangalore International Airport which is connected to all major cities of India and other countries as well. Apart from the air route, Bangalore can be reached by its wide network of Railway and Road Routes. The air rides are quite convenient and less time consuming [much of an energy-saver too]; the Bengaluru International Airport provides regular flights to the travellers every single day. It’s effectively connected to the other major tourist destinations of India namely Kolkata, Mumbai, Chennai, Hyderabad, Delhi etc. The amazing location of Bangalore makes it a place of convenient connecting routes; it’s situated at the junction of NH 7, 4 and 48. This eminent city is well-connected with the states of Andhra Pradesh, Goa, Maharashtra, Tamil Nadu and Kerala. The time spent on travelling via road actually gives you an opportunity to witness the passing by beauties as well. 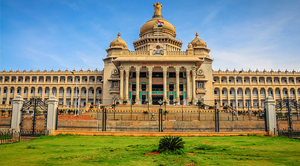 The capital city of Karnataka [Bangalore] is adorned with two prominent railheads; one is the Bangalore City Railway station and the other is Yesvantpur Junction Railway station. Both railheads have regular trains running from the major cities like Mumbai, Pune, and Delhi etc. One can pay their visit to this prominence consumed city any time of the year, however commencing from the month of October to the end of March is regarded as the most-convenient and best-suited duration [the city of Bangalore should definitely be the spot of your upcoming vacation trip]. The Summer days of Bangalore are not too consumed by the sweating heat; one can actually visit a few sightseeing destinations every single day of their trip. The summers commence from the Month of March and lasts till the end of May; the temperature varies from 20 degree Celsius to 38 degree Celsius. Bangalore receives heavy rainfall because of which it stays quite cool and pleasant. Simply great, especially for those who love to travel in a cool environment. The refreshing monsoon season begins from the month of June and ends in the month of September; the temperature varies from 19 degree Celsius to 29 degree Celsius. Put on warm clothes one after another, at times the temperature drops down to 12 degree Celsius as well. 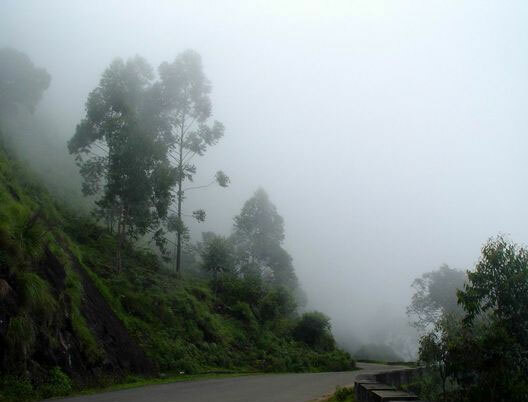 If you are fond of wintery winds then you can definitely explore the notable city of Bangalore in winters. The chilly winter season starts from the month of mid-October to the end of February; the temperature varies from 12 degree Celsius to 29 degree Celsius. There are ample number of Hotels serving the presence of keen travellers; plentiful houses of stay adorned with comforting amenities and services varying from the basic ones to the luxurious ones. 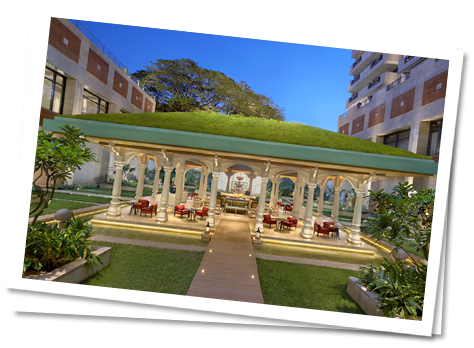 Well-outlined accommodations, multi-cuisine restaurants, wellness and spa centres etc. Pick the one, which suits your interest and spend quite a few days in the happening city of Bangalore. 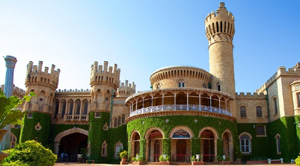 Ideal Duration to spend in Bangalore - 2 days are quite sufficient to explore the major attractions of Bangalore. 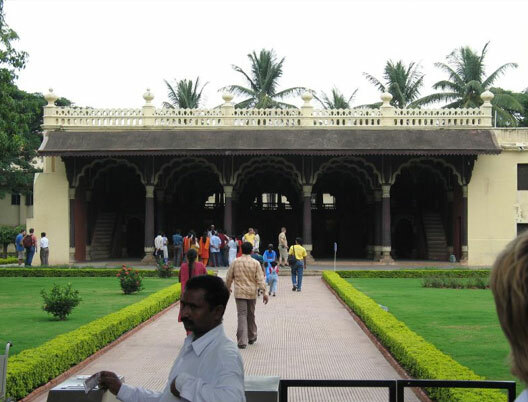 Here are the names of some tourist destination one must definitely visit – Lal Bagh, Bangalore Palace, Cubbon Park, Bannerghatta National Park, Vidhana Soudha, Ulsoor Lake, Halasuru Someshwara Temple etc. 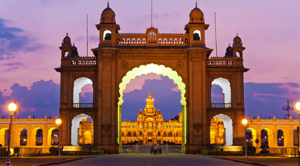 The capital city of the southern state of Karnataka is truly wondrous [the third most populous city of India]. 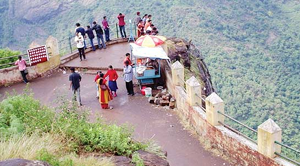 It’s located on the Deccan Plateau, at an altitude of over 900 meters above the sea level, which makes it the Highest of India’s major cities. This megacity is exceptionally appealing, it not only attracts a remarkable population by the strength of tourist destinations it acquires but the well-known fairs and festivals also play a major role in driving more footfalls. 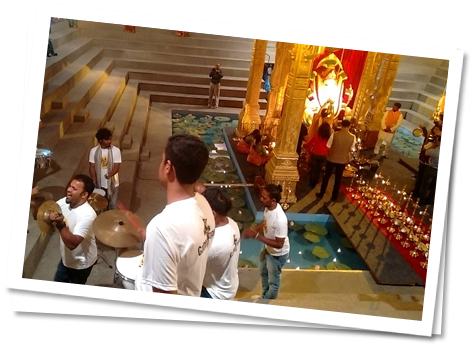 Here are the names of some prominent fairs and festivals that are great fully celebrated in the city of Bangalore – Bangalore International Film Festival, Ugadi, Bangalore Ganesh Utsava, Bangalore Karaga, Vijayadashami, Habba etc. This is where you can watch the theatrical presentation of Yakshagana [a theatre art of Coastal Karnataka]. 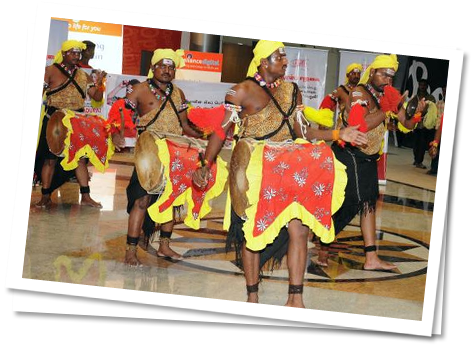 The Praiseworthy city of Bangalore has its own literary festival, referred as the “Bangalore Literature Festival. It’s also equipped with a spot of amusement – Indian Cartoon Gallery; this impressive cartoon gallery is situated in the core of Bangalore devoted to the art of Cartooning. The Indian Cartoon Gallery is the first of its kind in India; it preserves and promotes the work of prominent cartoonists in India. The imposing city of Bangalore is home to the Kannada Film Festival, it’s also a remarkable centre of Indian classical dance and music. One can easily spend several days visiting the spots organizing varied Music Concerts, plays and dance performances. Do make sure to give all ears to the Bangalore’s own subgenre of music addressed as “Bangalore Rock”. Bangalore follows a diversified sort of taste – here are some of the most famous dishes: Masala Dosa, Bisi Bele Bath, Rava Idli, the spicy Uppittu, Kebabs etc.